I just got back from my 8-day trip to Tokyo, Osaka, Kyoto and Nara, and of course, like any of us, I have done all sorts of research like places to go and restaurants to try. However, after my trip, I realized that there were a lot of things that were not mentioned on blogs and guides that would have made me appreciate the culture and discipline of Japanese people better. So I thought of making this easy list of important things to note before visiting the land of the rising sun. It is not customary to tip. They will find it more insulting than appreciative. Japanese people have great respect for time. When they say 8am, they mean 8am SHARP. Keep left (or right, depending) when walking anywhere. On the road, inside the stations, riding escalators or using the stairs. Surprisingly found out that people from Tokyo keep left while people from Osaka keep right. All the people are disciplined enough to follow this rule to allow rushing passengers to walk through without difficulties. Majority of the people do not speak English, even in Tokyo, and even on tourist locations. It is great help to know basic Japanese to communicate, such as hello (konnichiwa), excuse me (sumimasen), i’m sorry (gomenasai), and thank you (arigato). People are very courteous and respectful. Please reciprocate with simple thank you’s. Food establishments are commonly self-cleaning. Bring your tray to the designated area or trash bins when you are finished. Don’t forget to separate plastics from papers as necessary. Most of the toilet paper are water-soluble, so it is common to flush it after use. Trash cans inside lavatories are called “sanitary boxes. This is mainly used for disposal of other hygienic products such as napkins, tampons, and pantyliners. Payment for majority of the restaurants is through an automated machine (placed near entrances) or paid through a cashier before going out. This is unlike the ‘bill out’ system in the Philippines where payments are made where you eat. Payments are normally placed on a tray in front of cashiers. For some reason, they are not fond of accepting money from a customer’s hand directly. Japan is a clean place. Keep your trash in your bag and throw them into proper bins. People are disciplined with following rules. Wait for green pedestrian lights before crossing any road, even smaller, residential ones. Trains leave each station on time. This is as listed on the schedule monitor on platforms. You can also check this on Google. For situational delays, these are also updated on the same monitor. A 1 is the current platform number, containing train line and end destination. B is the location where the type of trip is indicated. Rapid trains skip some stations so watch out. C Δ means boarding entrances, equivalent numbers are found on the floors. So Δ 2~5 means entrances 2 to 5. Some trains are shorter/ have fewer wagons. D is time of departure from platform. E is where the end destination for that line is. Research before commuting. Not all signages, labels r announcements have English translations. There is NO EXAGGERATION on how complex their train system is to tourists. I can’t emphasize this enough. Research and take note of signs per train (sides of the train) and station (entrances and on platforms) before boarding as it will be necessary not to get lost. READ SIGNS. Due to their extensive transportation system, there may be a lot of train transfers involved. There will be instances that a need to transfer to another train will be necessary when heading to one destination, or skip riding a train that simply passes through the same train track but it’s headed to a different location. We have wasted hours because of riding the wrong trains or not getting off when needed and this is not something truly emphasized with the blogs we’ve read. Google maps will be your friend. We survived by relying on Google Maps for GPS, train directions, and fare estimates. But double check with other sources such as osakastation.com as Google can skip listing down a couple of stations on your list for reasons we have yet to know. Avoid talking loudly on public transport. There is no strict rule prohibiting eating on trains, but during my 8-day stay, I have never seen anyone do this. It is rare for guys to stand up to let women sit down. However, priority seats are also available on select train wagons illustrated by a label on the seat or icons by the windows. For buses, seats near the entrances/exits are all priority seats. Wagons for women only are also available, this is usually in the middle and is labeled in pink with the text “Women Only” outside the wagon. Several stations do not have escalators, plan your route ahead to avoid going around aimlessly, especially if you have luggage. Let passengers alight before riding any public transport. It is an unspoken respect for others followed by everyone. Train tickets are bought from automated ticket machines and are purchased according to fare prices and not the actual location. Cost of tickets are placed above the ticket machines. 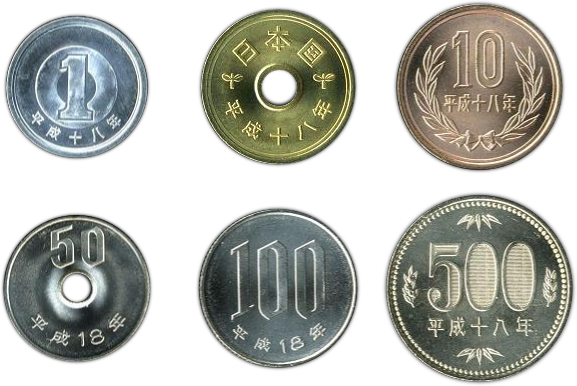 Note that you can’t use 1 and 5 yens to purchase tickets, but they do have change available for 10,000 yen bills. Most of the locals have IC cards (equivalent to beep card) so there is usually no line at ticket machines. These machines have English translation option and have a convenient bulk order buttons on the left side. Fare adjustment machines are located at every station. When you purchase tickets and end up realizing you got the wrong one, you can have your tickets adjusted through ATM-like machines via self-service. Only purchase a JR pass if you are extremely time-sensitive AND will be traveling long distances. The most value you can get from a JR is if you ride shinkansen (bullet train) majority of the time, or long distances that can be costly with regular fares. Do note that you can only use your JR pass on JR lines, so consider only if the places you plan to visit are near JR stations. Depending on the season and time of day, wearing layers can be helpful as the weather can be cold outside but pretty warm indoors. There is a lot of walking involved when navigating any city. Wear comfortable shoes. Japan uses a lot of plastic for packaging. I highly encourage bringing a recyclable bag with you. Bring a big coin purse that you can easily rummage through. Their 1 (50 cents in peso), 5 (2.5 pesos) 50 (25 pesos), 100 (50 pesos) and 500 (250 pesos) yens are coins and can stock up easily. Trust me on this. Drinks are pretty costly at an average of 200 yen (100 pesos) each bottle. Bring a reusable bottle to take around with you. Due to the weather, you will get thirsty. The cost of an average meal is about 900 yen (450 pesos) at any decent place. While drinks are about 100 yen. Some (fast) food places in train stations have a fairly cheaper price at an average of 500 yen compared to actual restaurants and can still be delicious. You can also get a decent meal (burger, drinks, and fries) at McDonald’s for an average of 500 yen. 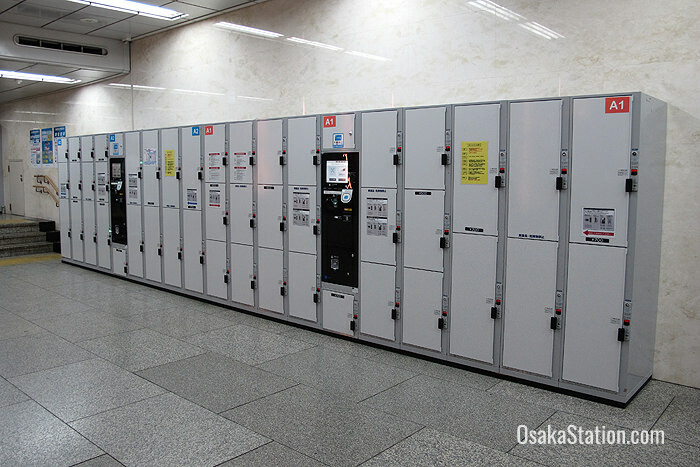 Coin lockers are a huge blessing for tourists. It goes only from 300 yen (150 pesos for small ones) to 700 yen (350 pesos that can fit a standard suitcase) per day and can be found in just about any train station. Perfect for early checkouts with night flights so you don’t waste a day waiting boringly in the airport. There’s a great currency exchanger in Dotunbori named Exchangers. We were able to get a decent 106.90 yen per peso at one time which is pretty high considering it was a tourist spot. How to get there: From Ebisu bridge (central bridge with the Glico man), go to H&M (there are 2 on opposite sides) and look for the side of the street with a Pablo (cheesecake) store. Walk a couple of meters to that direction and you will find a yellow sign with the name Exchangers. 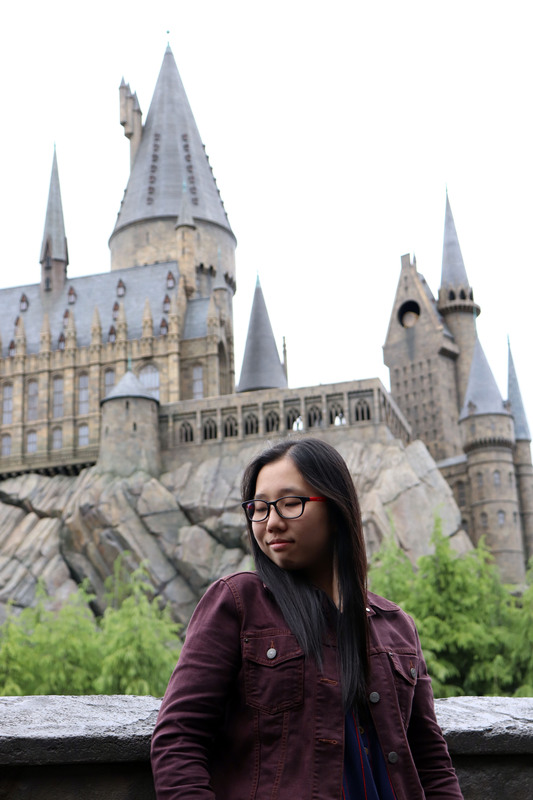 Abuse Klook when purchasing tickets for Disneyland, Universal Studios or even your wifi. It’s a win-win because they have great discounts, you get sure slots, and you don’t have to fall in line. Find out if the accommodation you booked has a pocket wifi or handyphone with data. This will save you a couple bucks because you can take it out. Just do note that damaging or losing it can be very expensive. Stores are typically open at 11am and closed by 9pm. Since this is not exactly a prime time for singit visits, make sure to plan around these timings if you want to shop. Grocery staff do not pack your items on purchase. They will be handing you the plastic bag (even give you a separate plastic if you have cold grocery items), and you will need to pack and arrange it yourself. Hotel and Airbnb checkin are usually between 2pm-4pm, while checkout is typically between 10am-11am. Excellent article! Thanks a lot for this very helpful guidance!